116,81 € прибл. 8.407,04 руб. The X-Ray Multi series from the Turkish manufacturer Istanbul Mehmet convinces with its hand-hammered B20 alloy and above all the finely worked, radially arranged holes, which are also drilled by hand. These cleanly worked holes interrupt the vibration of the entire pelvis and provide a shorter fading out and a darker basic tone, which comes along trashy and spongy. The finely and cleanly twisted basins are all made of B20 bronze, the classic alloy for professional basins. 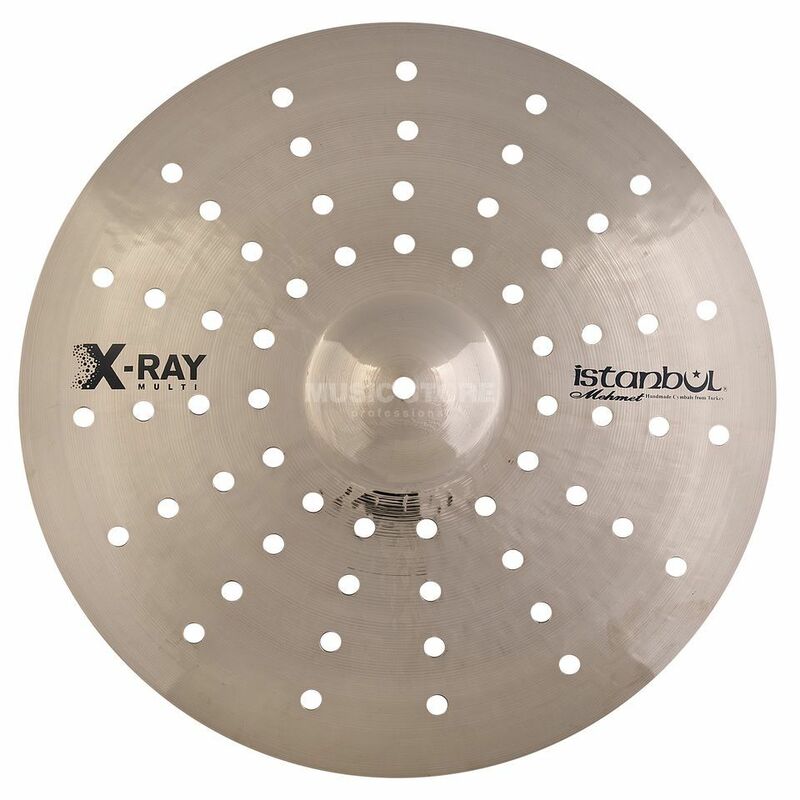 Especially the fast and direct response and the shortened sound make the Istanbul X-Ray Multi Crash cymbals to absolute effect all-rounders. Although they are crash cymbals, the sound is similar to that of a China, noisy and complex. Of course, they are recommended for metal and rock drummers, but any other style can be used easily if accentuated and short, brute effects without frills are to be produced. The X-Ray MultiCrash cymbals are very well coordinated and complement each other very well. Last but not least, of course, the more than fair price is convincing, because for handmade B20 basins with such complicated circular bores, the competition puts much more on the table.